As you know, I LOVE LOVE LOVE to craft with and for my family. 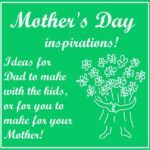 What I really like to do is to craft on a budget – recycle/ upcycle, using every day objects and transforming them into a fun and simple toy or something that the family will cherish for ever. 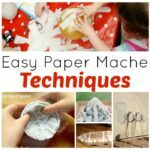 Our favourite kids craft material by far is the very humble, but oh so versatile loo roll. Check out all the things we have made from that! Recycling is part of my general “save” ethos. 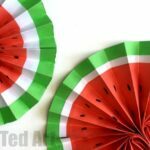 There are so many things you can make as gifts or for school fairs – using your time instead of your money. Allowing you to put aside money for those rainy days or deposits or that holiday of a life time. * Life should remain fun and relaxed. Treats for yourself or your family should still be part of how you live… however, when you treat ourselves to a coffee from the coffeeshop or a treat from the newsagent, we put the same amount of money aside into our piggy bank – this serves two purposes – you still enjoy treats, but you think twice about doing it too often! How many times, have you gone to a fair and have spend 10s of pounds on “nothing”. Go to the fair. Have fun. Treat yourself and the kids a little and save too! * Once a week empty your purse and put the money in your savings pot – the kids especially love this, as they get to put all the pennies into their piggy banks – they are starting to learn about the value of money and saving some of it on a regular basis. * Sales – don’t talk to me about sales. The best thing is not to go sale shopping. However, if you do need a new shirt/ shoes/ kettle, do go to the sales. And if you save £30 whilst you are shopping, then put those £30 into your savings account. Go on, I dare you – either you will buy less, or you will start saving quite a nice little nest egg! * Sell second hand items (prams, toys, etc) on ebay and put that money into savings (rather than treating yourself). Similarly, enter online competitions and sell what you win. This is how I “saved” and justified the cost of our ipad. I really wanted to win one, but just wasn’t winning it… so I took everything else and sold that on ebay and to friends and family to raise the funds! Result. * We are lucky enough that we can put all the child benefit money straight into savings account – this means that when the children are older, we can give them a small nest egg of their own – and they will see how saving even a small amount of money time and result in a nice bundle at the end of it. 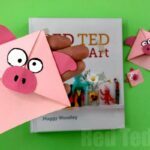 * Last year we had a stay at home holiday (and if you decided to do this, why not visit Red Ted Art for activity ideas) and we put “saved” money into a savings account. *A long “staple” in my saving strategy, has been to put all pay rises straight into a savings account. I.e. I set up a direct debit for the “new money” to go straight into savings, ditto any bonuses you receive: take 10% to treat yourself and put the rest in savings. 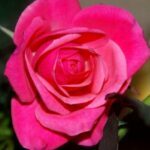 If you liked the above, check out the Mummy Whisperer’s and Mummy Rates It Blogs for lovely posts and videos! So, that is my Piggy Bank Tale (and PS did you know I used to collect Piggy Banks? I had LOADS). What is your savings story? 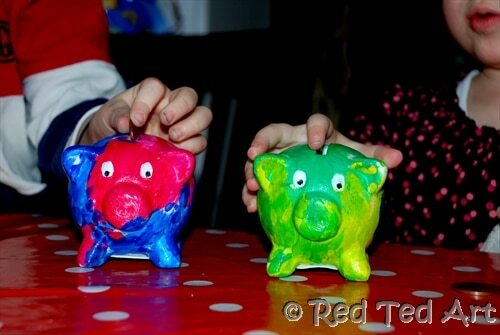 Share your money saving stories or tips to take part in the Piggy Bank Tales Competition, sponsored by Virgin Money. You could win one of two £500 prizes which you can choose to invest in a Stocks and Shares ISA to jump start your own nest egg if you want to! 1. 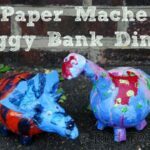 On your blog, post your own Piggy Bank Tale. Whether you’re saving for a rainy day or you’re into investing in the stock market, it doesn’t matter – your stories or tips can be fun, quirky or serious! 2. Add the link to your post on the Piggy Bank Tales Linky below by 17:00 GMT on 10th April. Soon after that, we’ll pick two winners at random for the £500 prize. Read the terms and conditions. We’d also love you to grab the badge here and insert in your post to help spread the word. Love this video 🙂 Nice to see and hear you! 🙂 they did such an amazing job on the video – would you believe it took 3.5hrs???? And yes, we don’t get to hear our blogging friends often!